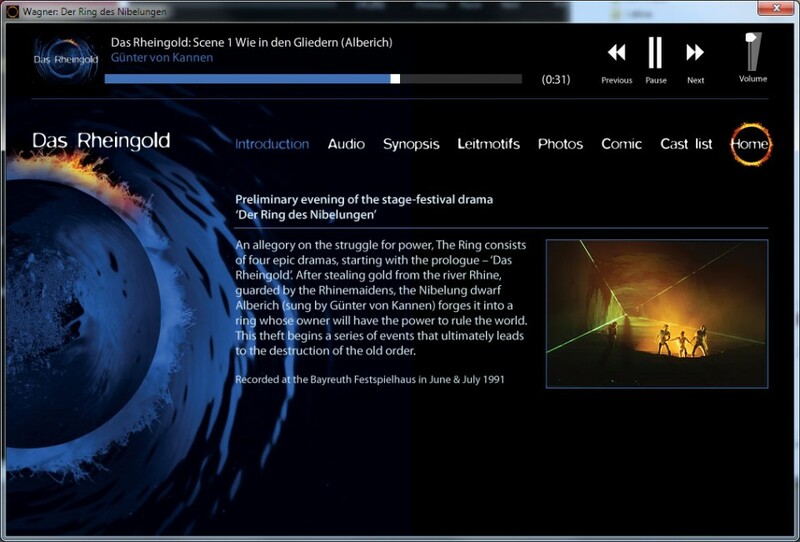 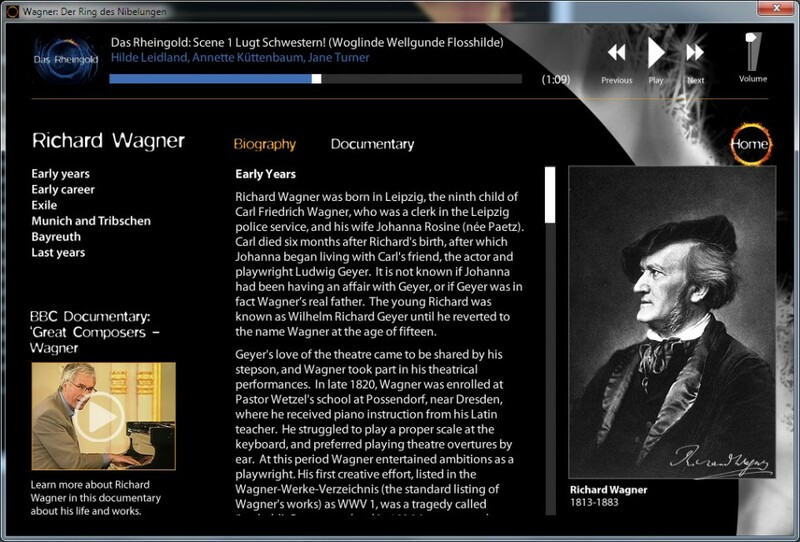 Der Ring des Nibelungen on USB, is an interactive application for discovering more about Wagner’s famous ‘Der Ring des Nibelungen’ (The Ring of the Nibelung) set of operas. 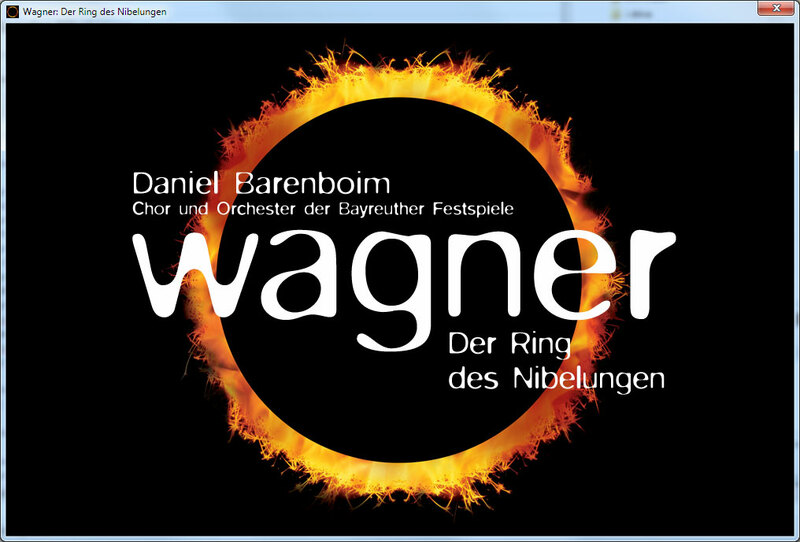 Often referred to as the ‘Ring Cycle’, the cycle of four operas consists of Das Rheingold, Die Walküre, Siegfried and Götterdämmerung. 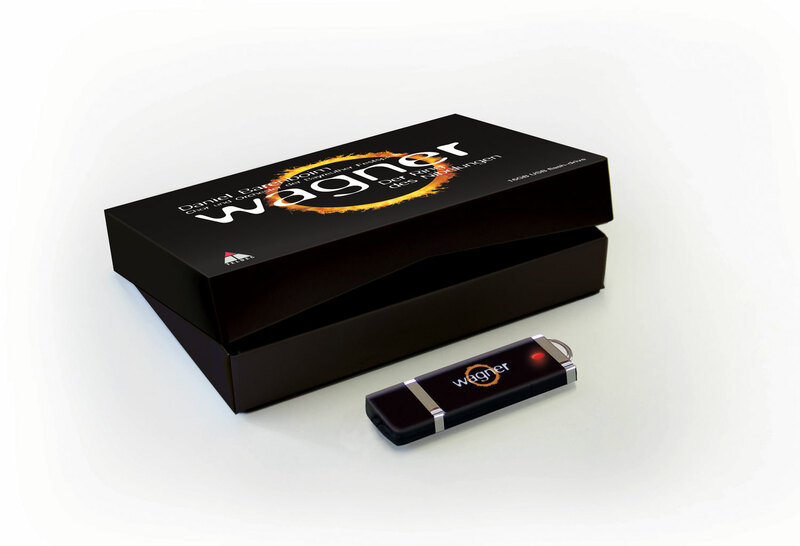 Warner Classics asked me to look into producing a USB-based application for the Ring cycle which was to showcase a number of different types of content. 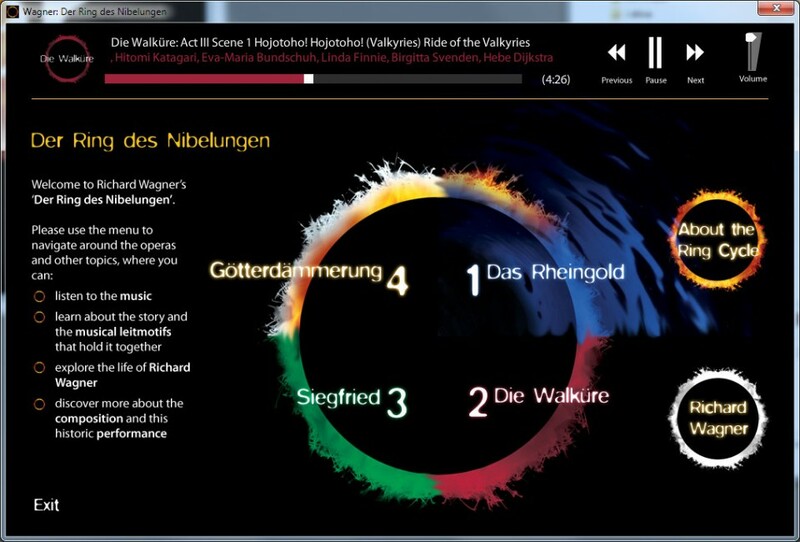 Firstly, they wished to include all of the audio of the four operas (in both WAV and MP3, downloadable from within the application) as well as including a BBC documentary and an interview featurette. 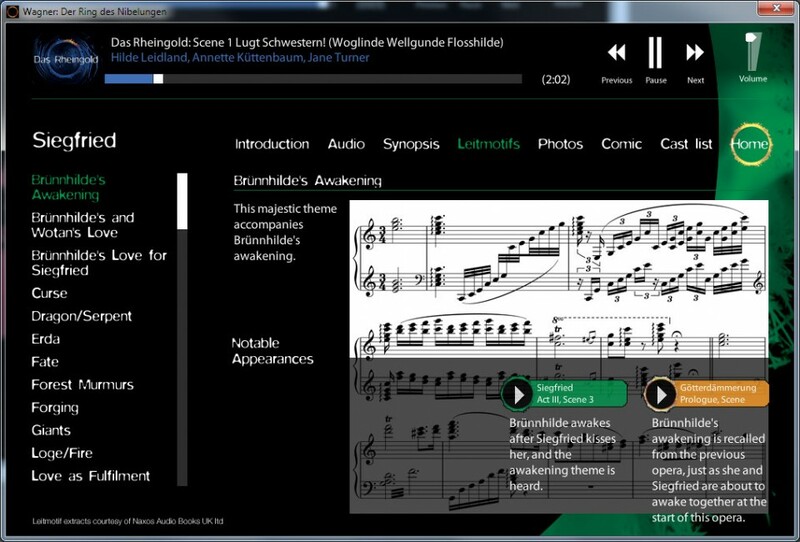 They also wished to include the content of the opera’s libretti (also downloadable) and to provide a detailed look at the many leitmotifs that permeate across the four Operas. 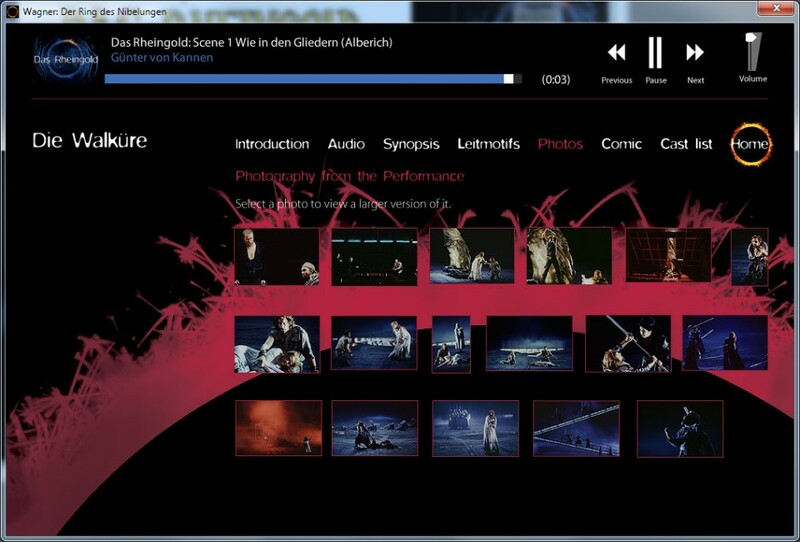 They also had large amount of photography taken during the performances, four illustrated comics, character listings, performer biographies and more. 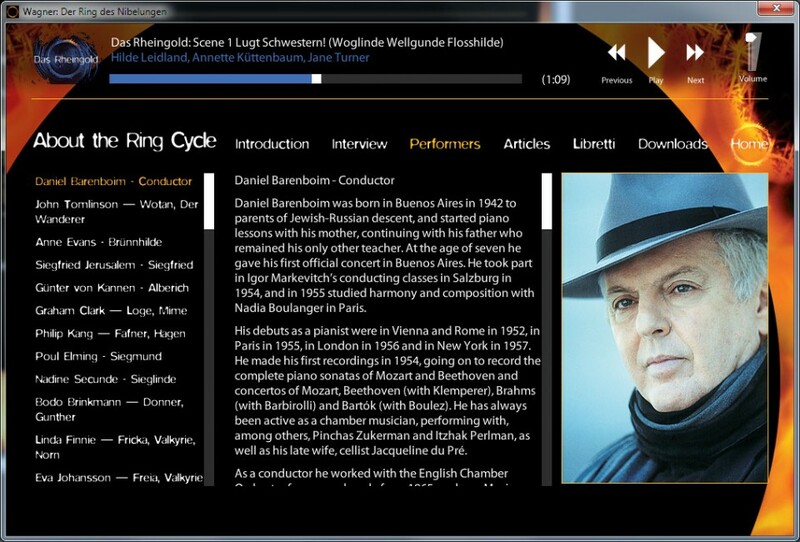 The product was built as cross-platform (for PC and Mac).